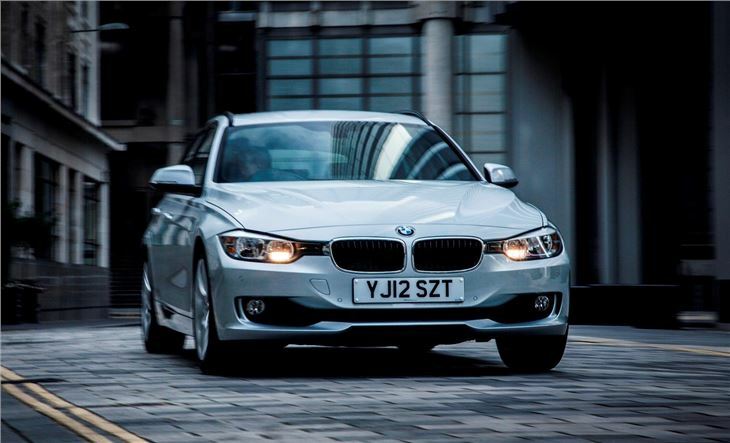 The 3 Series is BMW’s bestseller often making its way into the top-ten UK sales chart. The latest generation, stays true to the formula that has made the model so popular, with smart styling, good build quality and an enjoyable drive. 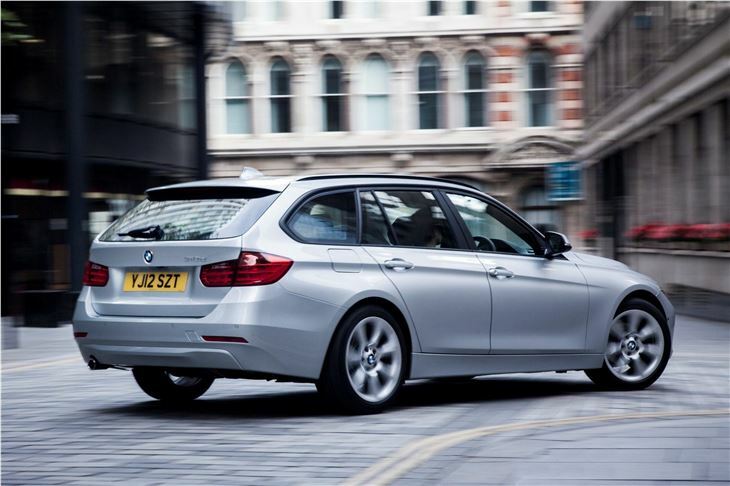 There’s the same versatile load space as before, but the new 3 Series Touring is more spacious for rear passengers and gets an even larger and more practical load area. It comes with an automatic tailgate plus there's an independently opening glass section as standard. 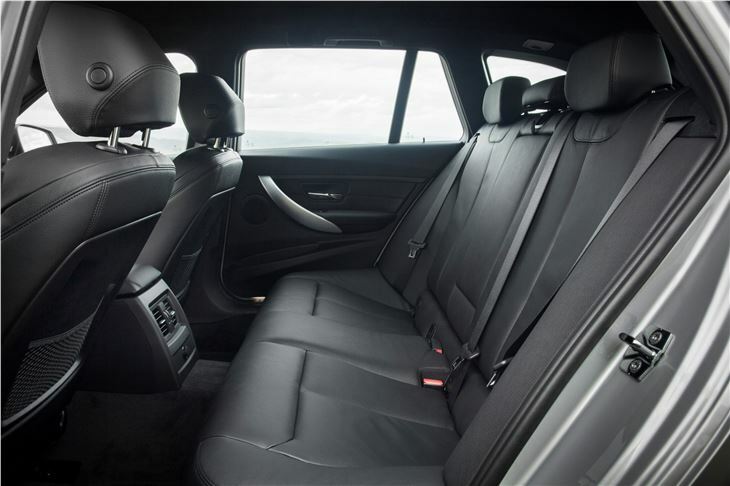 The boot itself is 495 litres, 35 litres more than before and more than both the Audi A4 Avant and Mercedes-Benz C-Class estate. This can be expanded to 1500 litres by folding the seats, which have a 40:20:40 split. The boot floor is low to the ground and there is no load lip, so loading heavy items is simple. That 40:20:40 split comes in handy when carrying longer items – such as skis – because they can be fed between the two rear seats, leaving room for two back-seat passengers. 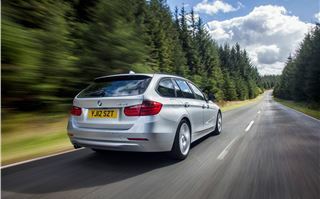 There are further practical touches too, like a charging point in the boot, a built-in net to separate cargo from the cabin when the seats are folded and a number of underfloor storage areas for hiding away odds and ends. 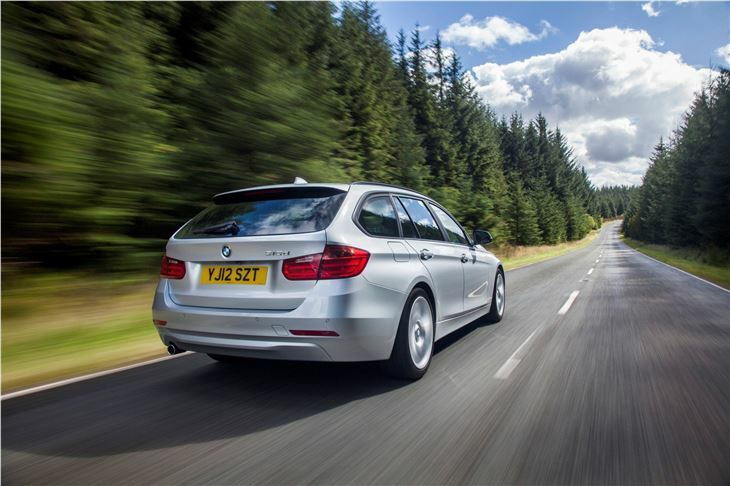 As an option owners can open the boot by ‘waving’ their foot under the rear bumper – useful when your hands are full. 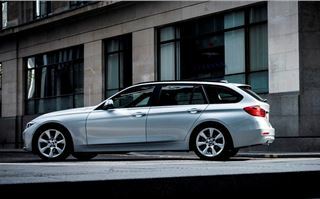 The new 3 Series Touring is slightly longer than the outgoing model and some of that extra length has been translated to increased rear legroom, which is sufficient for an adult of six feet tall sitting behind a driver of the same height, but it would be tight for particularly tall individuals – as would rear headroom. The front of the cabin is impressive. 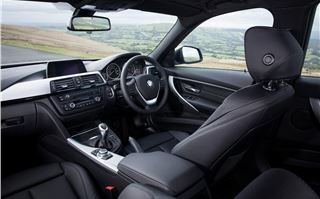 We drove a 330d in Luxury trim and it had a massive £9820 of optional extras – but standard gear on the Luxury does include leather seats which are supportive and comfortable, although they’re not electrically adjustable unless you pay an extra £910. 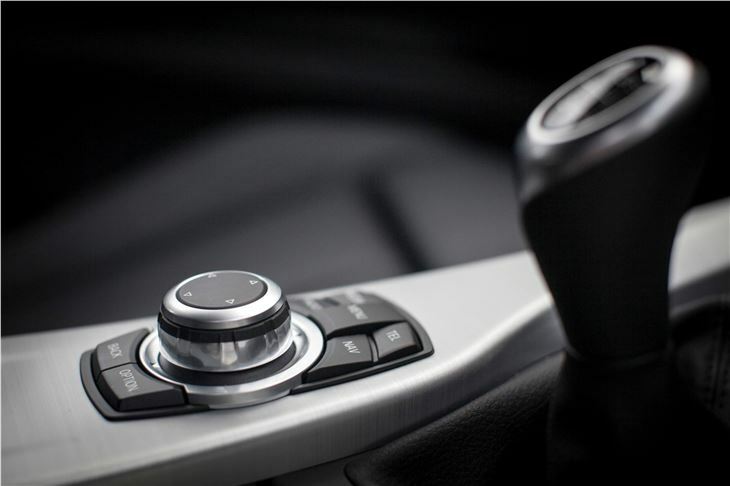 Major and minor controls are all well placed and everything feels well put together with a high quality touch. 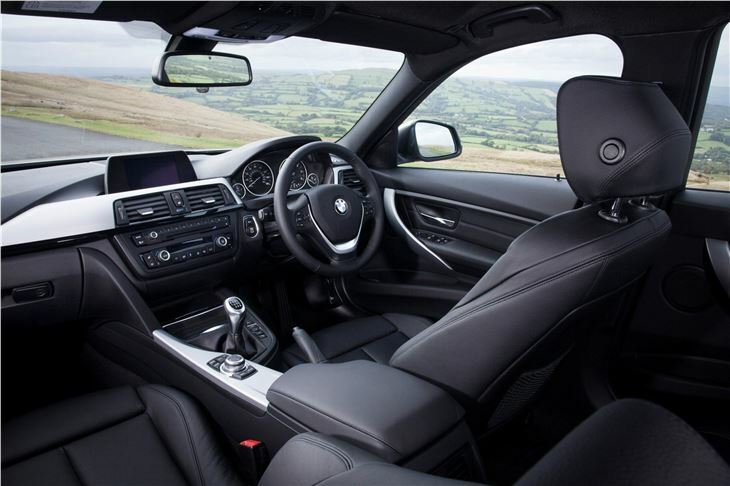 Buyers can choose from an array of trims – our car had a dark wood but there’s carbon fibre and aluminium. 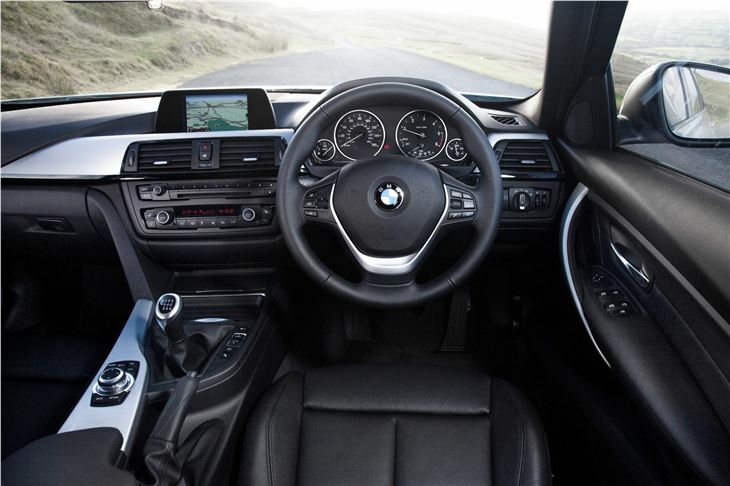 The iDrive system gives you control over media, Bluetooth, navigation and most other functions from one dial. It’s easy to familiarise yourself with and becomes intuitive and user-friendly. The car we tested had ‘Professional Multimedia’ which includes a huge, crystal clear panoramic display at the top of the centre stack. Also fitted was a head-up display in full colour. It displays speed but also sat nav direction and information from Bluetooth or audio, so you can keep your eyes on the road. 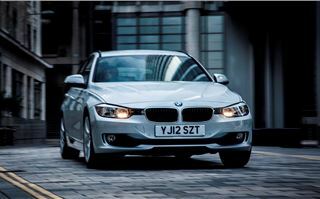 It’s especially handy to have the speed readout so prominent on the 330d model tested because of how refined it is - sometimes it's so quiet it feels like you're travelling far slower than you really are. 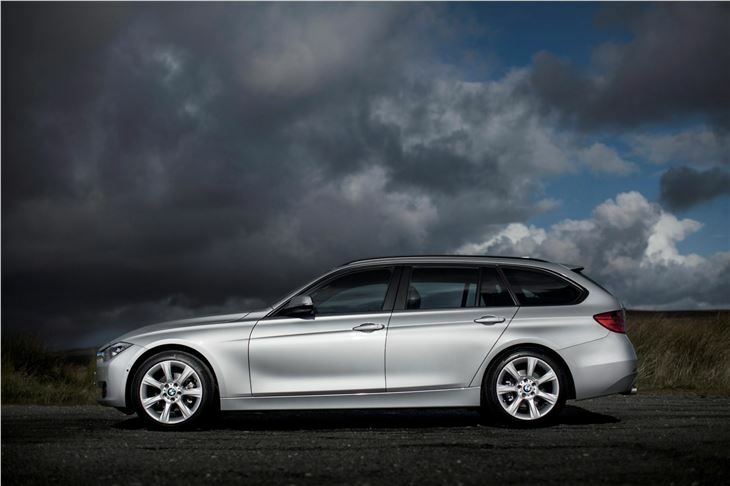 There’s 258PS available from the 3.0-litre straight-six and an impressive 560Nm of torque. It’s a little gruff when pushed hard but otherwise sounds subdued and hushed, helped by a silky smooth 8-speed automatic gearbox that provides swift acceleration. 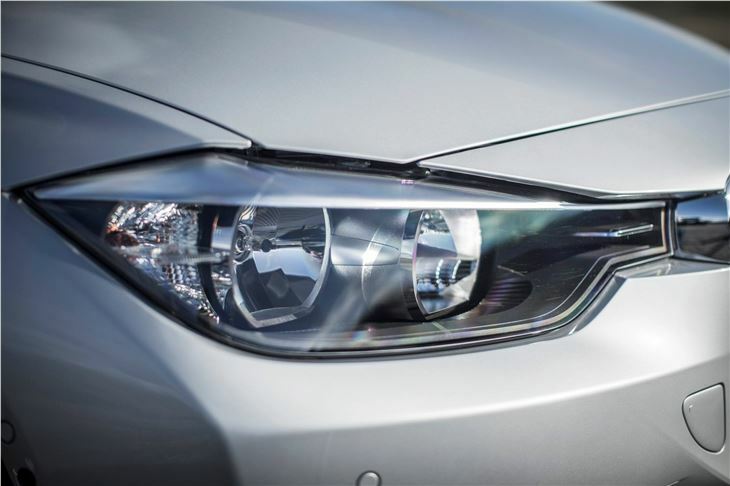 Getting from 0-62mph takes 5.6 seconds and the top speed is limited to 155mph. At speed there’s barely any engine sound in the cabin, but tyre roar is apparent, as is a little wind noise. This is easily drowned out by the impressive audio system though and isn’t at all intrusive. 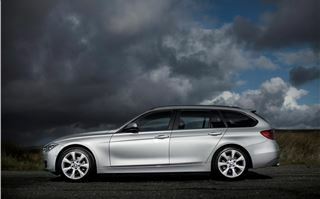 In fact, the 330d Touring is a very serene environment indeed, with a very comfortable ride over all but the most horribly potholed surfaces. 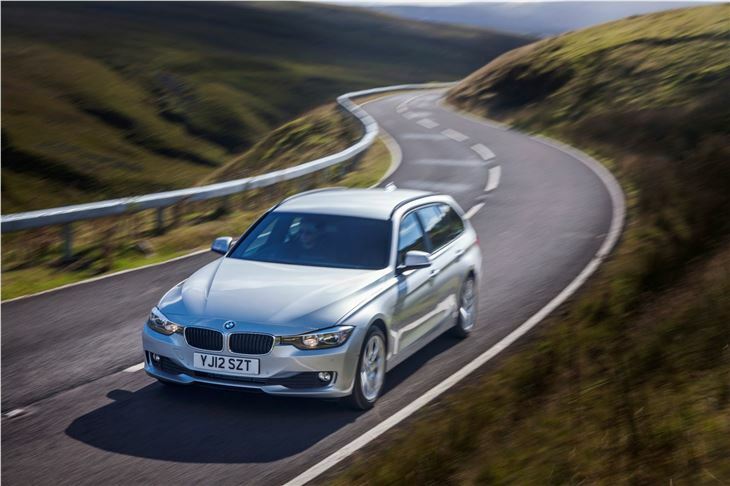 That’s not to say the handling is compromised – quite the contrary in fact – it’s surefooted through bends, with immediate and accurate steering. It’s easy to drive with precision, although you’re always aware of the weight. It’s no sports machine but it’s easy to have fun, should you want to. 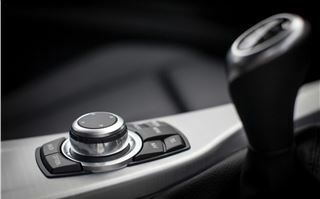 There are ‘Sport’ and ‘Sport+’ settings to make the car hold on to gears a little longer or you can take control of the gearbox with paddles. There are also ‘Comfort’ and ‘Eco pro’ modes – that latter of which is among several features designed to improve fuel economy. Others include start/stop and brake energy recuperation. 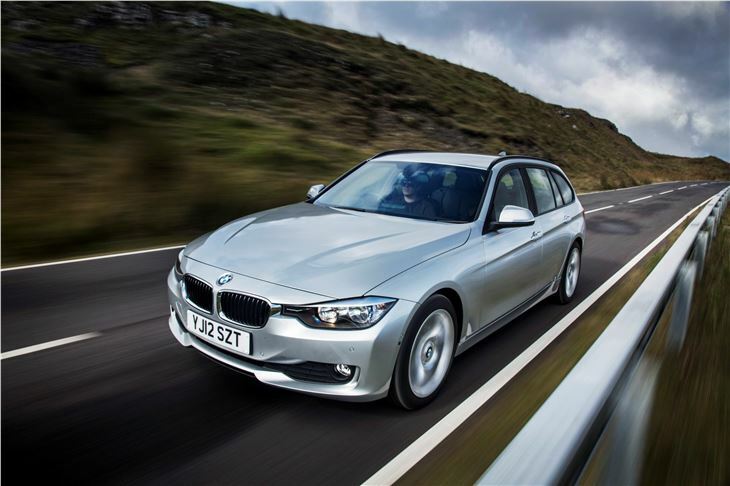 BMW was keen to point out just how efficient the new 330d Touring is thanks to the advances it has made in fuel economy and the 55.4mpg claimed figure is impressive for such a powerful car. Emissions are 135g/km so annual VED is band E, currently £120 a year. 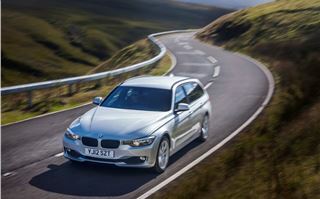 Company car drivers will be content with a BIK rate of 20% for 2012-2013, but particularly thrifty buyers will want the 320d, which offers lower VED bands without too much of a performance hit. 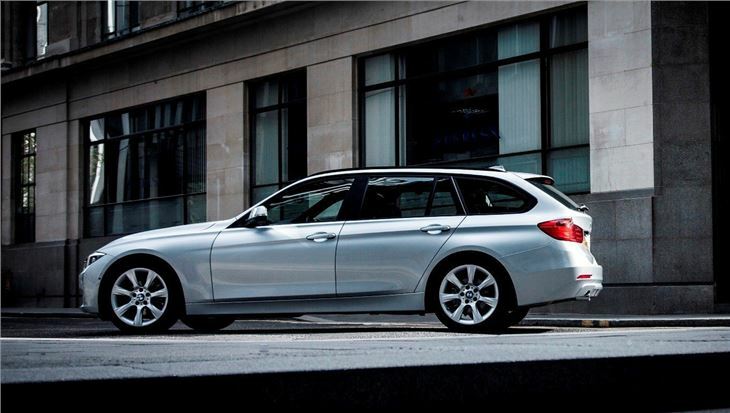 It’s fair to say that the BMW 330d Touring is an impressive and accomplished car. 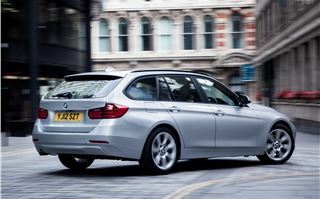 The most important bit of any estate car is its versatility and with an electric tailgate, 40:20:40 split seats and other neat touches it’s very practical. 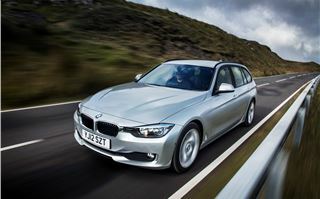 Like most BMWs it’s also comfortable, smooth, efficient and enjoyable to drive.